OxVox sent the following email to Trust members today, 2 December 2018, together with the attached letter to Tiger and the club board dated 28 November 2018. We are writing to make you aware of our recent correspondence with Tiger and the board, in respect of the current financial situation that our club finds itself in. You can view our letter below. As you can see, this letter was sent on the 28th November 2018 and was a follow up to earlier communications and conversations between OxVox and the board, where we have been seeking clarity for some time. Despite asking for a reply before yesterday’s FA Cup game we are extremely disappointed to report that, at the time of writing, we have received no such reply from Tiger and the board. We feel that there is absolutely no excuse for this. The recent HMRC winding up petition is still not settled, despite assurances being made at our members’ meeting on 21 November that it would be settled that week. We are extremely concerned with the way our club is being run and demand that Tiger and the board respond to our questions as a matter of urgency. We feel the fantastic supporters of our club deserve to know what is happening and how we find ourselves in this perilous position. Due to the severity of the situation, it is our view that any reply from Tiger and the board should be put into the public domain and we await their response. We are writing to you in respect of the current financial and organisational situation at the club. We are also writing as a follow up to our recent communications to you regarding the same matters, as we feel we have yet to receive satisfactory answers to our questions. Having been involved with you since your arrival at the club, we, at OxVox, have enjoyed meeting and working with you. We are encouraged by your enthusiasm for our club, the City of Oxford and the County of Oxfordshire. We are also encouraged by the arrival of several high net worth individuals as Shareholders and Directors of the club. We are also appreciative of the attendance of Zaki Nuseibeh and Niall McWilliams at the recent OxVox Members’ Meeting. At the time of writing it would appear that the HMRC bill, resulting in a recent winding up petition, has still not been paid, despite giving us assurances that funds would be received to settle it over a week ago. When does the club intend to pay it and what provision do you intend making to ensure that there are always funds available (in the UK) for future cashflow? What operational procedures will be changed to ensure this happens? Are the funds from the new Directors/Shareholders being used toward the funding of the club, or are they merely reducing your own outlay? What will the roles of the new Directors, Zaki Nuseibeh, Horst Geicke, and Erick Thohir be, and when will we hear from Horst and Erick? Will funds be available to strengthen the playing squad in January, in order to ensure we finish in as high a league position as possible, with an absolutely minimum requirement of League 1 survival? We appreciate that these are difficult and challenging questions, but many supporters of the club are becoming concerned, and these people deserve to know that the club is in good and capable hands. We hope that you can assure us of this, and if so, you will find us supportive through good times and bad. We are appreciative of your comments in yesterday’s match programme, regarding OxVox, but this has to be a two-way street where we are properly informed and involved. 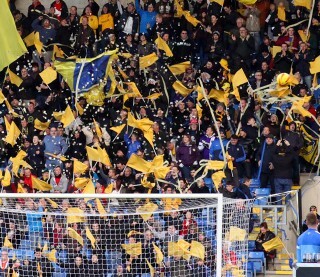 There is currently a dis-connect between the club and many of its supporters, resulting in lower attendances than recent seasons. We feel the lack of good quality information regarding the ownership and structure of the club, and your plans for it, are fundamental to this, and urge you to fully inform supporters of these details at your earliest convenience, and to continue to do so. We look forward to your full and prompt response but must advise you that we will be left with no alternative but to inform the supporters, by publishing this letter in the media, if we do not receive a prompt and satisfactory reply. We do not wish to do anything that interrupts the team’s preparation for the forthcoming FA Cup match with Plymouth Argyle and will not “go public” until after that date, but we do expect a reply before that date. Please confirm receipt of this letter and when we can expect your written reply.